The Engineering Ambassadors organization is designed with the purposeful intention of establishing relationships with prospective engineering students, promoting and representing the College of Engineering at on- and off-campus events, and encouraging the academic, personal, and professional development of its membership through comprehensive programming. Check out the rest of our site to learn more about the Engineering Ambassadors! 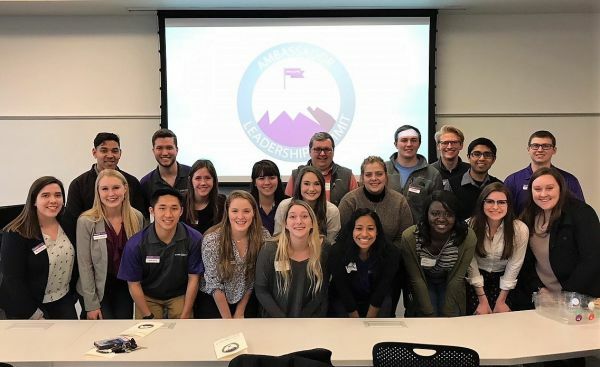 Engineering Ambassadors recently hosted the inaugural Ambassador Leadership Summit, where representatives from the Colleges of Business Administration, Human Ecology, Education, and Arts & Sciences, as well as the Academic Achievement Center, gathered to discuss the importance of fostering a diverse and inclusive environment on campus!